It’s a decidedly eerie feeling, finding yourself. No, not in the sense of discovering your personality. I mean, discovering you, or, more accurately, an earlier clone of you that didn’t make it, for whatever reason. 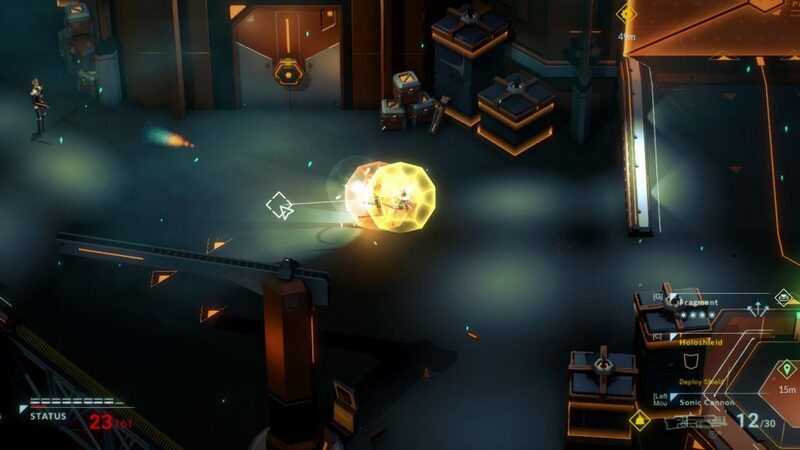 But that’s part of the “joy” of Beacon, a third-person twin-stick game where you are a clone. And not necessarily a faithful one, either. Hrm, there’s something different about me… Oh, I redid my hair in the vat! Niiiice! Okay, that bit takes some explaining. 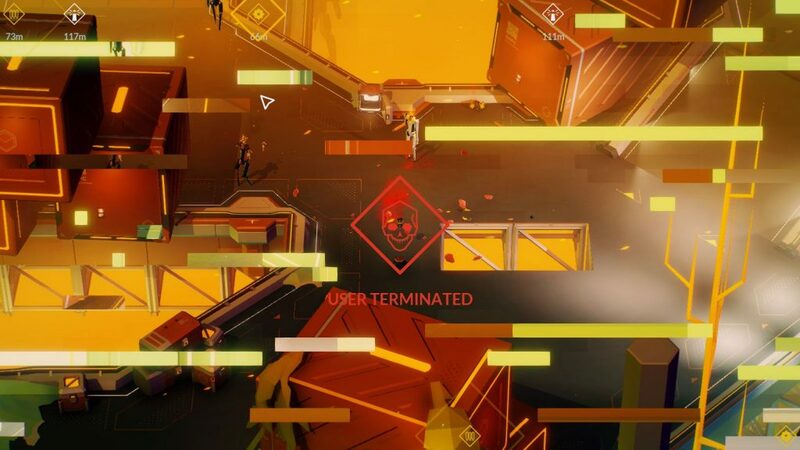 While Beacon is indeed another twin-stick, procedurally generated shooter with persistent elements, those elements are mainly (in the present build, at least), genetic. Abstracted genetics, harvested from things that maaaaaybe wouldn’t have genes (like the PRISM robots) , but genetics nonetheless… And these attempts at improvement through genetic tampering have a reason. The original Freja Akiyama (the protag) died on landing after crashing on this hostile and ever changing world. But that doesn’t mean her base personality wasn’t saved, and that she doesn’t want to get off the planet. So, she has a clone tank. Sometimes, it works as intended, taking genes from local wildlife (robotic or otherwise) , and sometimes… It makes drastic changes, both to her body, and to her perception of things. 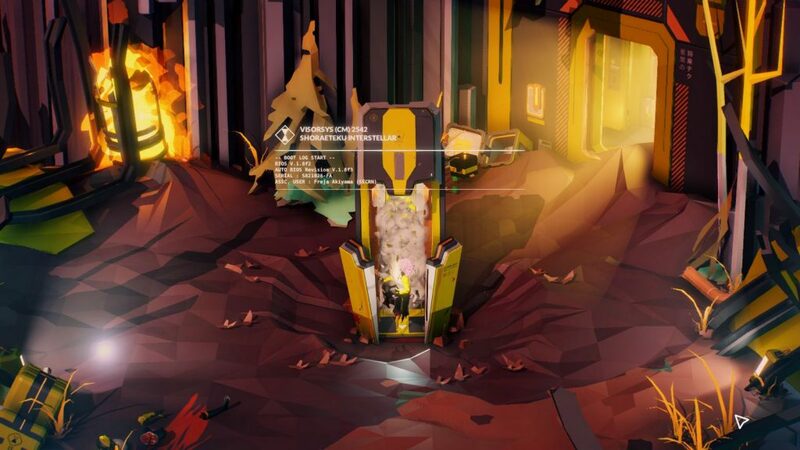 It’s one hell of a clever conceit, and it’s backed up by a good, low-poly aesthetic, some good secrets (Of which I’ve discovered a few, and not quite got the hang of quite a few more), a variety of weapons, and a relatively limited enemy set that nonetheless gets tough, and scary, pretty early on. Good soundtrack, good idea, good aesthetic… So… What’s not so hot? Well, every gun has a minimum range, and there are a couple of enemies, specifically the Quick PRISM Robot subtype, that are annoying as hell at the present time. It’s not just that they’re faster than you. It’s not just that weapons have a minimum range. No, it’s that they can also shield themselves, and that, honestly, is a bit much. They are, unlike, for example, the flamethrower robots, not so much scary, or tense, as annoying to deal with. There’s also a lack of permanence, right now, in the things you’ve found, which is a bit of a shame, if understandable. Still, this is already a promising start, with a lot to explore and deal with, a lot of weaponry of different types, and, once you get further in the game, you start to uncover an interesting mystery. I mean, robots and buildings do sort of imply previous habitation… Do they not? Note for next clone: Chaingun slows you down. Also, construction failing, almost died due to plates falling. Be careful, sister! 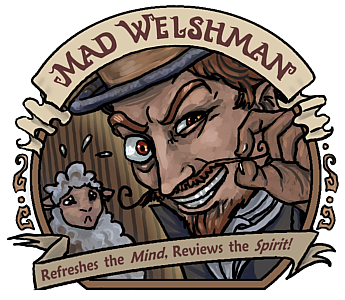 The Mad Welshman #37 loves his spindly little robot legs. The Mad Welshman #36 says they don’t quite suit him though. Please help solve our “discussion” without chainguns getting involved.